Know someone who needs a little DIY in their life? Share our flyer of upcoming workshops! 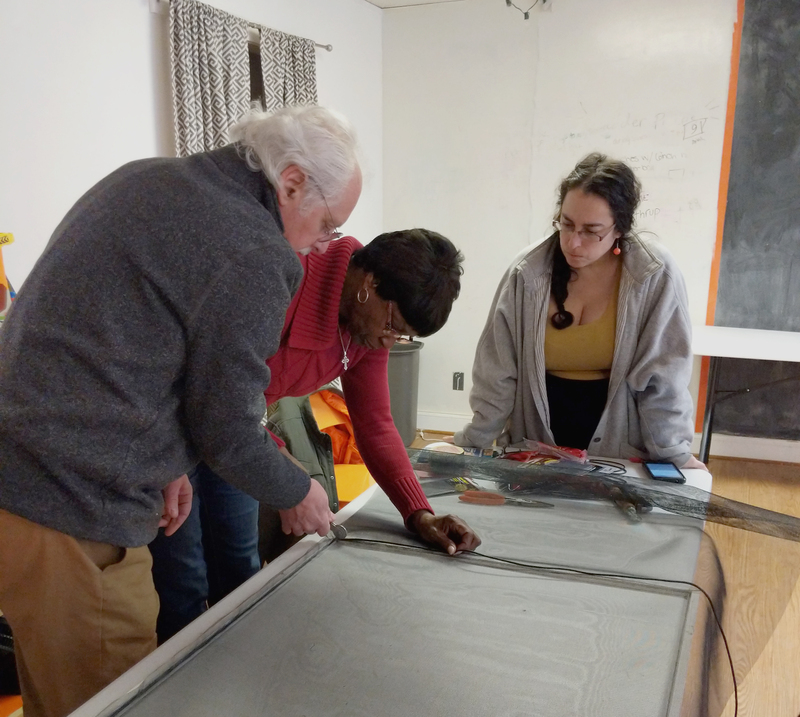 At the Tool Library, we don’t just provide people with the tools for their next project, we also empower them with the skills and knowledge to feel confident tackling that next big DIY challenge. 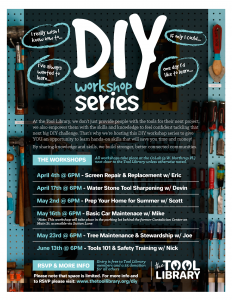 That’s why we’re hosting this DIY workshop series to give YOU an opportunity to learn hands-on skills that will save you time and money! RSVP by filling out this form. By sharing knowledge and skills, we build stronger, better connected communities.